/ins. 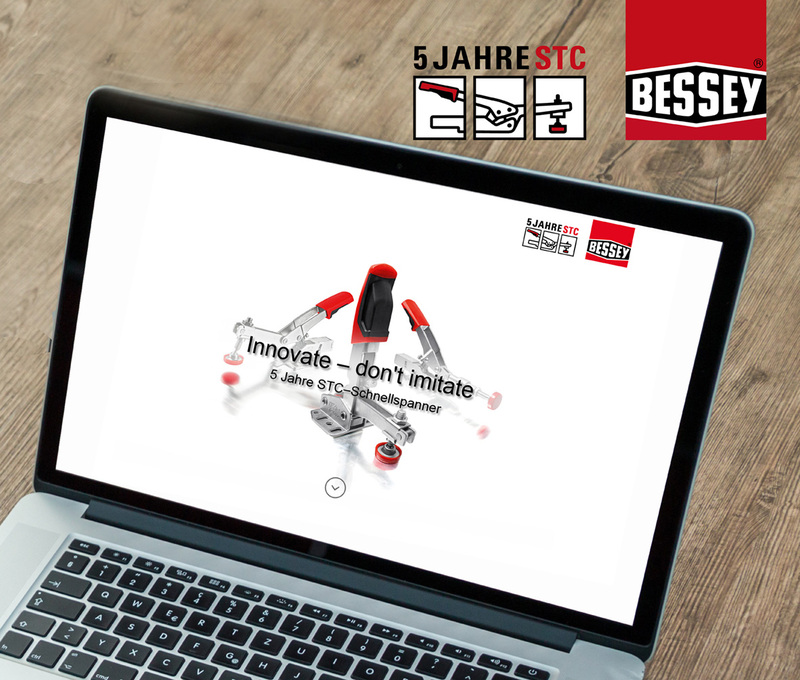 German clamping tool specialist BESSEY is providing an extensive range of information on self-adjusting toggle clamps on its new microsite http://toggleclamp.bessey.de in 12 languages. Designers, craftsmen and buyers can find technical details and interesting facts about the unique range of accessories as well as exciting excerpts from the history of the range. BESSEY has launched the microsite http://toggleclamp.bessey.de to mark the 5th anniversary of its STC self-adjusting toggle clamp range. 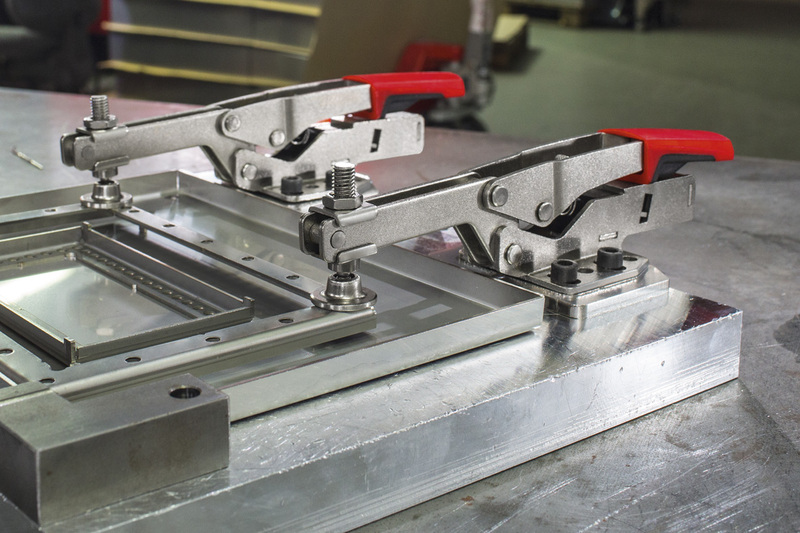 The microsite informs visitors about the benefits of these special-purpose toggle clamps, which can adapt automatically and in a continuously self-adjusting manner to workpieces of varying thicknesses. What’s more, the microsite provides detailed descriptions of the horizontal, push/pull and vertical toggle clamps, which are equipped with self-adjusting mechanisms, covering all relevant information. 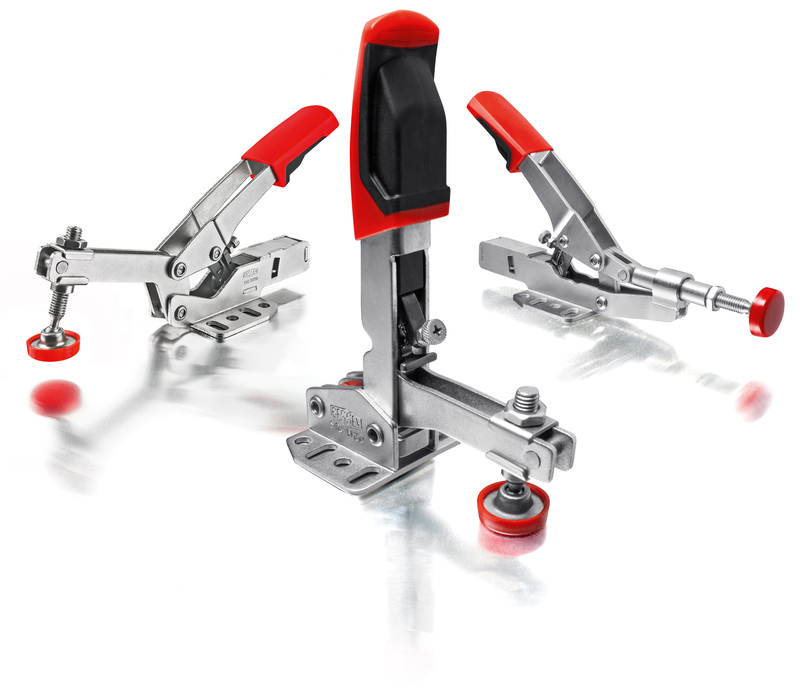 These include, for example, images of the toggle clamps in practical use, brief descriptions with references to the base plate versions as well as technical data sheets and downloadable 3D CAD data. The variants that feature a horizontal base plate also include links that take the user straight to matching accessories. 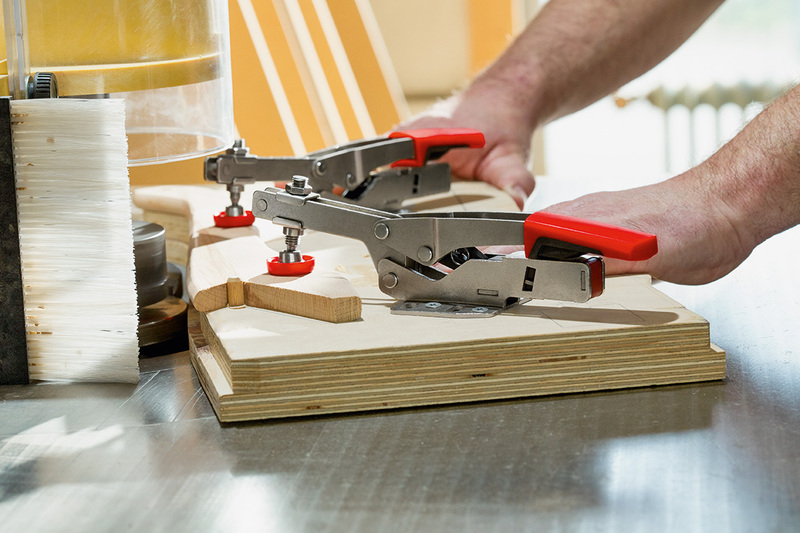 In this way, the range of advanced application possibilities involving BESSEY toggle clamps and welding or multifunction tables is clear to everyone. 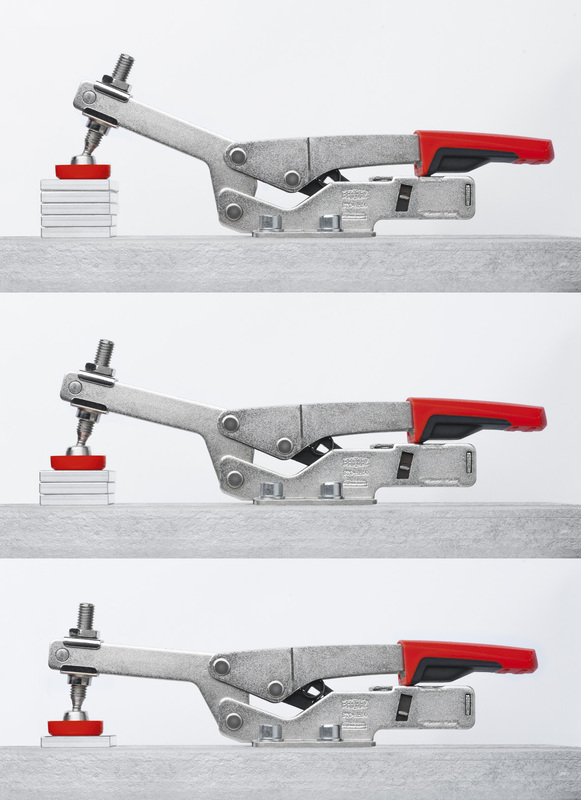 The new microsite also provides exciting insight into the evolution of BESSEY self-adjusting toggle clamps. After all, as is the case with all product developments, the aim was to do justice to the motto “Innovate, don’t imitate” - and so, the objective of BESSEY’s developers was clear. 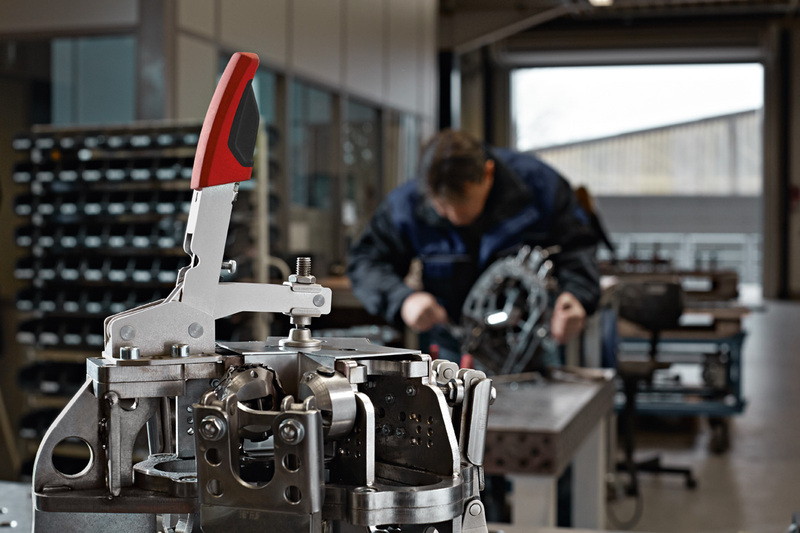 The aim of the refinement process was to eradicate the most significant disadvantages of traditional toggle clamps – time-consuming adjustment of the clamping range and lack of options to vary the clamping force. The developers succeeded by applying the principle of the screw clamp. This led to the invention of toggle clamps, which can adapt automatically to various workpiece dimensions while keeping the clamping force more or less the same. 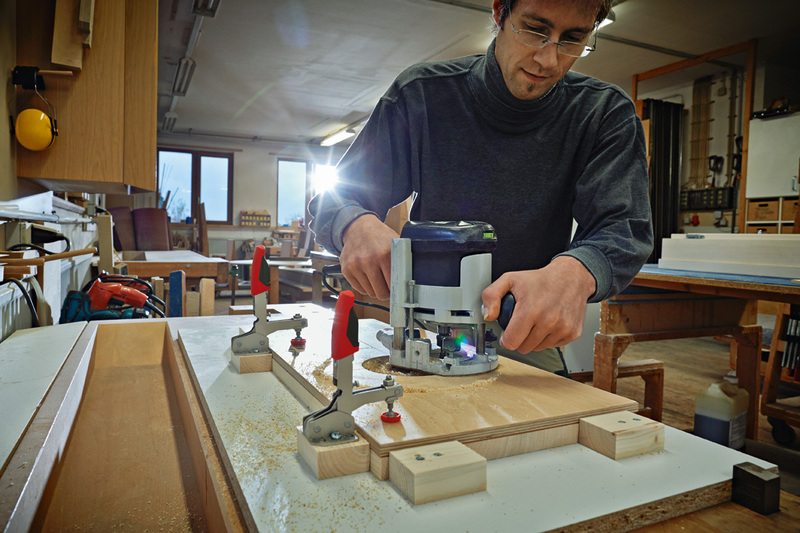 The clamping screw is no longer manually adjusted, allowing the user to work up to 5 times faster. The clamping force can also be increased to 2,500 N by way of an adjusting screw in the joint. After all, not all workpieces require or can handle the same amount of pressure. 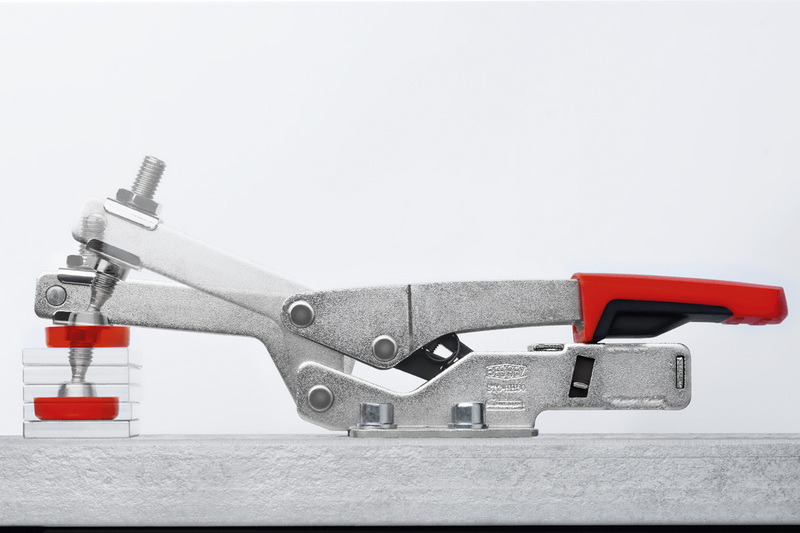 Due to its extensive clamping range, one size of the BESSEY self-adjusting toggle clamp can replace several sizes of conventional models. 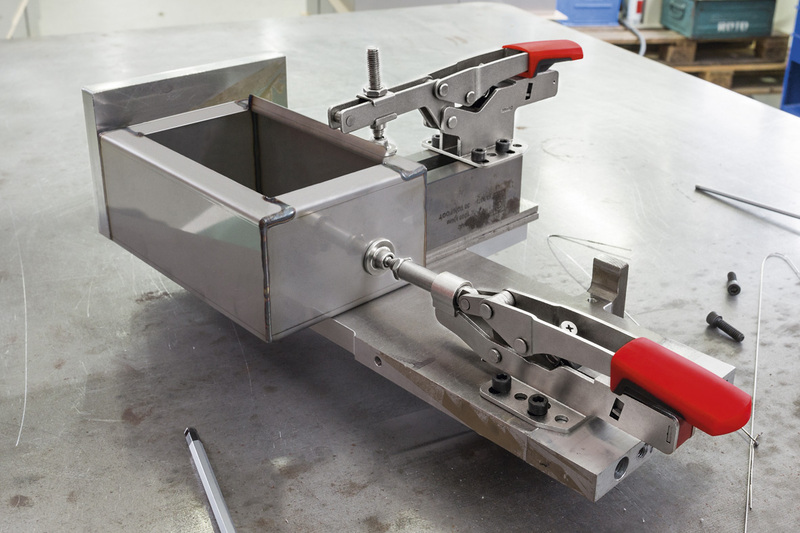 In 2014, BESSEY was granted a patent for the mechanism the company developed in-house. 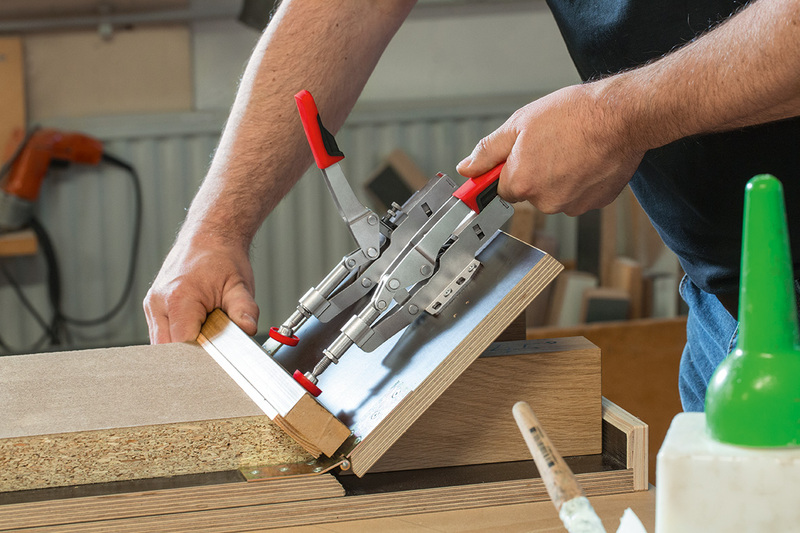 BESSEY has gone on to incorporate the mechanism in its horizontal, push/pull and vertical toggle clamps. Yet more proof of BESSEY’s innovative strength. In addition to the extensive product information and the history of self-adjusting toggle clamps, the microsite also includes additional links to a distributor search and the full range of BESSEY products. 1889 Founding of BESSEY as a bright steel drawing plant in Stuttgart / 1936 The production of clamping tools begins. / 1944 Construction of the current parent plant in Bietigheim. / 1979 Acquisition of the Ernst DIENER shears factory, thus expanding the BESSEY product range to include ERDI shears / 1984 Consolidation of tool and precision steel production in Bietigheim / 2004 Founding of BESSEY Präzisionsstahl GmbH. / 2005 Company renamed from BESSEY & Sohn GmbH & Co. KG to BESSEY Tool GmbH & Co. KG. / 2011 Klaus Fuchs becomes Managing Partner of the BESSEY Group. / 2014 The company celebrates its 125 year jubilee.